After spending a cumulative 12 hours in two days at our hospital, I am wiped out. My head feels like a ton of bricks and my body feels like it has been encased in lead. I half-heartedly explained to my husband that I am now another ten-years older in spirit. The gray hairs have to be popping out everywhere. After taking my own personal inventory of emotional baggage, I reflected on what the past two days have done to my children. Because you see, I am not even a patient. I am merely just a bystander. What has this surreal life surrounded by doctors and living in a hospital done to them? To an untrained eye, the girls seem mostly like any other typical 8 and 10- year old. A few days post surgery and our oldest daughter is already asking about starting swimming and our youngest is playing fashion designer and doodling on every scrap paper in the house. They are happy kids and are always up for an adventure. We are in stage 1 of tumbling a few unpolished rocks and are busy on training our very large kitty on how to perform a trick. Life IS really good. Why is it that I am nervous? Partly because underneath that happy smile is wisdom well beyond their years. They have witnessed life at its best and its worst. They understand that sometimes their most trusted grown-ups can't fix everything and that life is ever changing. Much like the magician that pulls a rabbit out of a hat, life can pull the rug right out from underneath you. With unsteady gait or sometimes even a fall, you have to work very hard at getting back up and learning to stand on your own two feet. Now this is where I look at them even more carefully... has any of the past two days events caused them to falter and fall? Do they need a hand in standing back up or are they OK to learn to get back up all on their own? And this is the hardest part of parenting. Not knowing when to swoop in and help and when to watch them do it by themselves. Even at their young ages, sometimes I have to hold myself back and do nothing more than watch and wait. Which is what I am doing right now. The second surgery is over. The A1c is over. Christmas is over. That leaves us with only the eve of a new year and a possible new beginning. I can take that chapter from the past few days and close it (or do what I really want and slam it shut). I know that I can't take away from what my children have had to endure. This is part of their history and childhood. While none of this is what I had in my hopes and dreams for them, it is our reality and we can't pretend it didn't happen. Teaching my children to embrace ALL that life brings them and to be strong enough to deal with it will always be my goal... diabetes and surgeries aside... this would have been part of my parenting map under any circumstance. Understanding this moment, I allow them to take their own chapters and do what they want... close them, slam them, re-write them. Whatever their needs may be, they are the owners of their own life story. Watching them, I witness this... our oldest daughter recalls her moments before the surgery and after with a few tears sprinkled in. She asks when things happened and our youngest daughter fills her in as best as she can, admitting that she had to leave the room when the IV line was inserted and during the rough recovery that brought all of the doctors back to her bed. To that, my oldest daughter hugs her and offers support by explaining that she felt the same sadness at seeing our youngest daughter in the hospital years ago after being diagnosed with type 1 diabetes. They talk about how hard it is to see each feeling hurt and how they wished none of that had happened. Wisely, I simply listen. They are expressing their grief and validating each other's experiences. This is not the moment that they need me to give them answers. This is the moment that they need comfort and love and they need it from each other. As a mother to them both, I am there for them both for endless love too. But it would be wrong for me to break this precious moment. This is what bonds them close. This circle of events has brought them even closer. The relationship between the two girls goes beyond sisters and even deeper, as closest confidantes. They are connected deeply through some of the most difficult moments a child has to endure. As I watch them, they hug each other and youngest daughter plants a gentle kiss on oldest daughter's bandaged arm. Seeing and hearing this, I have a feeling that this new beginning is going to be even more amazing than any of us could imagine. We are afterall, closer, wiser, stronger and grayer.... who can beat that? And because I can't resist a moment more... I do swoop in and cover them both with hugs and kisses. To which they laugh and giggle and tell me what they really want to do is play another game of Barbies. I think we are going to be alright. One for the record books! This has definately been an unusual holiday break for our family. A few days before Christmas, our youngest daughter contracted a stomach virus. On Christmas Day, our oldest daughter battled a migraine which led to sniffles and coughing the next day. Two separate viruses appear to be floating around our home and neither one we want. Hello, Lysol! Oldest daughter's common cold is our typical norm for illness. The kids seem to pick this type of bug up once or twice a year. Blood glucose tends to raise, sometimes uncomfortably, but we feel in control and with a few minor changes to either basal rates or extra bolus corrections, we can get that pesky blood sugar under control. Because of the stomach virus, youngest daughter's blood glucose has remained low. Crazy low. The kind of low where we actually had to decrease basal rates to 20% of her normal for 8 hours on Christmas Eve. That's right. -80% basal rate change. I know. Shocking, isn't it? We have also decreased her boluses by about 30% too. This is not the honeymoon period. She has had diabetes for five years. So what is this phenomenon? I have scoured the Internet and found nothing. Obviously kidding but I did let my mind wander there around 2:00 a.m. a few days ago during one of her CGM alerts of a low blood sugar. Lucky for her, (after the first night) she actually feels good and has a great appetite. So maybe this is her special gift. A chance to eat without bolusing much insulin and without having any rebound highs. Her gourmet menu of choice has included cookies, fudge, macaroni and cheese, Hawaiian rolls, cheesy potatoes and a sweet potato casserole which was really a dessert. Last night, she indulged in a plate full of gooey cheese pizza at a new restaurant. This morning, I surprised the girls with Monkey Bread. Through all of this, she has been low. And even though our oldest daughter has battled her cold, because of our lovely Apidra insulin and basal rate changes, she has been able to eat everything as well. Maybe that is the Christmas Miracle? Christmas arrived and celebrated with gusto in spite of blood sugars high and low. And maybe, just a little more so! I was going to publish a post that I had written on school holiday parties but it didn't feel right after yesterdays' "belly rolls" (trying to avoid the big P-word because my own stomach is in a bit of an upheaval today). Instead I am choosing to write on something else that feels more important. I know. Weird, right? I mean in the world of type 1 diabetes, pretty much everything is at some point reactive. For example, you take a blood sugar reading and suddenly out of nowhere you are staring at a 353. What do you do? REACT. Drop in a dose of insulin either through a syringe or through an insulin pump. Your child refuses to eat all of their dinner and suddenly you are faced with a deficit in carbs for the pre-bolus that you gave 20 minutes ago. What do you do? REACT. Against your better parenting judgement, you reach into the pantry for something out of the Halloween candy bag and offer it up. You need carbs in that belly and they need to go in now. The middle of the night blood glucose check reveals a low, low, low of 47. What do you do? REACT. Lights on, juice in mouth and a couple of glucose tabs for good measure. And if you are like me, you also react by not sleeping for the rest of the night because you are still on edge. After all of that reacting, it is hard to feel like you can be proactive. But sometimes you can. You can almost beat that diabetes monster at his own game. I say almost, because ﻿we can't completely cure it. Yet. Here are five proactive type 1 diabetes care tips that I have found helpful. I hope you do too. 1.) Supplies, supplies and more supplies. You can never have enough. Stuff those supplies everywhere. Places we keep testers include the car, my husband's office (won't tell the whole story on this but once met him on the highway on our way to an amusement park because we had no test kits! ), the neighbor's house, school, purse(s) and Grandma's house. I am not an alarmist by any means, but I do keep a backpack loaded and ready with supplies in case we need to leave in a hurry. 2.) Bedtime snacks with fat and protein. If your child can eat dairy, this is your opportunity to become parent of the year. 1/2 cup of ice cream has this magical quality of being the perfect combination of carbs/fat/protein that can usually sustain a small child through a night of fasting. With my own girls, I can really see a difference on the nights that we do this. Better glucose numbers = sleeping for all of us. Thank you Mr. Breyers! Oh, peanut butter sandwiches and cereal with milk work great too. 3.) Plan for the unexpected. I am sure that most likely you do. I feel like a girl scout every single day when we leave the house. Beyond the bags of supplies stashed everywhere, I also keep food in every single corner. Kinda like a rogue squirrel, I literally have a bag of nuts AND candy. Let me tell you, our family is fun on a road trip. We know how to really, really picnic. 4.) Use that technology. First up is the wonderful combo bolus. My friends, this is the best feature on an insulin pump. It really helps not only with buffets, but certain problem foods like pizza and pancakes. A little insulin now and little delivered later when the slow carbs are still being released. Another simple item is the cell phone. I am not in the least bit embarrassed to say that my oldest daughter received a cell phone at age 9. It has kept her safe time and time again. Nothing feels better than a text telling me what she is eating and bolusing for. She does this without me prompting because it also feels good to her. Lastly, the Continuous Glucose Monitor. Even when blood glucose numbers are shifting quickly, the CGM spots trends that clue you in on the direction. Not to mention that it alarms. The middle of the night is still scary, but it is entirely LESS scary with our friendly CGM. 5.) Don't be afraid of Glucagon. Have a plan worked out with your endocrinologist on how to administer mini-glucagon shots and WRITE IT DOWN. This is one area where I need to improve. When the time came to knowing exactly how much to dose, my mind went blank. Thankfully, I had a good friend in the DOC who could walk me through it. I will be writing our plan down and taping it on the wall next to the emergency contact list. I am also going to share our story one more time with the endocrinologist's office to see if there was anything I could have improved on. It never hurts to have a second (or twenty) pair(s) of eyes reviewing what you have done. When you can proactively kick the Diabetes Monster before it can kick you or your child, I can most assuredly say nothing feels better! Last night was anything but cute. Youngest daughter came home from school feeling tired and asked to go into my room to watch TV and snuggle under the covers. This is not normal behavior for a small child who loves to cook dinner, play with her sister or perform a singing/dancing number to entertain us all. Sometime after dinner, she came back downstairs and was visibly shaking. With a meter check, her BG was 53. I quickly gave her a mini 14 carb juice box and had her drink it. Immediately, she started to complain of her stomach hurting. Let me pause and explain that at this moment my instincts kicked in. Although a blood glucose of 53 isn't low enough to warrant glucagon, it is actually what I immediately went for. I knew a storm was brewing and could just tell that she was headed for the inevitible sunami of belly pains. But my mind went blank on how many units to dose. And this is where having friends in the DOC is most important. My husband was still at work and I had no one except our oldest daughter to bounce ideas off of - which would have just scared her at the mere mention of glucagon. 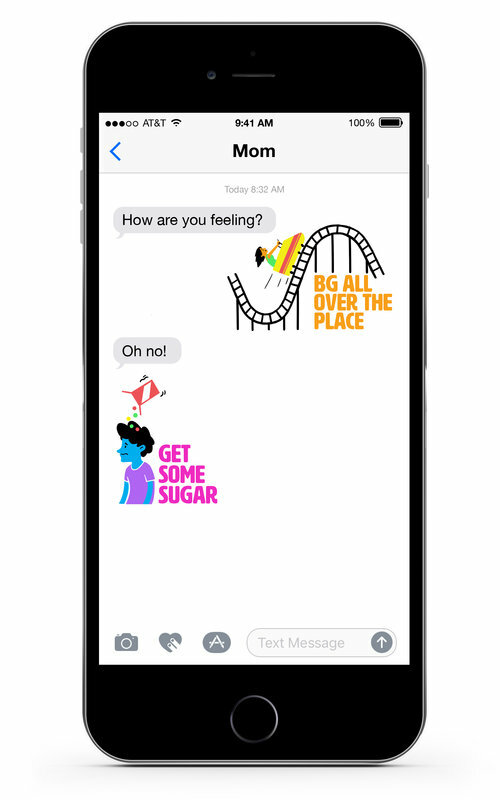 I picked up my cell phone and immediately called a mom who has done mini-glucagon injections for her own child. While on the phone, I mixed the glucagon and drew up 5 units ( apx. 3 less than the recommended one for every year of age due to the juice box) using one of our own 30 unit syringes. I injected it and after saying our good-byes over the phone, my dear friend offered me support for the entire night. That simple and kind gesture restored my calm and I knew that I had a friend 'in it with me'. A bit later, we re-checked youngest daughters blood glucose. The peak was around 100 but random testing everying 10-15 minutes showed that she was going back down. She was wearing her CGM too but the lag time made it impossible to keep up with real time numbers, so all we could do is look at the trend arrows. After seeing a second set of double arrows pointing down, I knew it was time for a second glucagon. Again, drawing up a second dose and cutting it back to avoid inducing vomitting, I injected her with another 5 units. I also decided to reduce her basal rate by 50% for four hours. Throughout all of this, her face was as white and translucent as it has ever been. Her hands were uncontrollably shaking and she was very cold. After injecting the glucagon, slowly (it felt like hours but was just a few minutes), her color returned and she became more expressive telling us that her green room had looked purple. And these are the symptoms from a blood glucose never below 50. My husband came home right about this time and witnessed the second injection. I could tell that he was scared to see me do it but he trusted that I knew the right thing to do. After seeing her color return, he looked relieved and gave me a small squeeze of reassurance. We tucked her into bed and continued to check her actual blood glucose every hour. It stayed stable at around 125 - 135. Then, before midnight, our daughter started vomitting. We held her and wiped away the tears and soothed her worries. Before long she was talking and saying how much better she felt. At this point her blood glucose was in the high 180s. I knew that she was going to be ok. The glucagon had already raised her blood glucose to a comfortable level and we weren't fighting any bolus insulin. We put her back into bed and made plans to continue to check throughout the rest of the night. Around 5:00 a.m., she peaked at 254 blood glucose, so we gave her a tiny bit of a bolus at .20. Just enough to take the number down a little bit. As I write this, I am letting her hover around 200 blood glucose to ensure we are still safe. With a stomach virus, 24 hours in the norm for recovery which makes me want to proceed cautiously. And I feel safe knowing that we have more glucagon should we need it. And most importantly, dear friends in the DOC supporting us. As a mother of two children with type 1 diabetes, I am no stranger to surprises. We shift gears on a moments notice quite easily at this point - which really does scream against my natural tendency to plan. The unexpected IS expected. At least that is what I plan for. So it is not a shocker when a very special moment occurred in a very ordinary moment. What is a surprise, is that in a way, I really feel like ought to be thanking the Diabetes Monster. While sitting in the waiting area of my oldest daughter's school lobby, I noticed a beautiful woman, presumably another mother, sitting across from me and looking in my direction. I didn't recognize her and assumed that she was one of the many parents that I hadn't met. Our school is quite large, so not knowing everyone (unlike the elementary school) comes with the territory. The bell rang and I got up to go find my oldest daughter as she continues to need assistance with packing and carrying her things due to that pesky broken hand. After an hour, my oldest daughter and I drove over to the elementary school, where we actually do know everyone, to pick up my youngest daughter. The same woman that I had earlier noticed in the lobby was also at the same school and staring at me while I wrote on my child's sign out sheet. Which now makes me giggle, but I was seriously wondering if I had something embarrassing attached to me. Any kick me signs? No. Toilet paper on my shoe? No. Lipstick smear? No. Just as I am about to leave and walk back to my car, the woman quickly approached and asked me if I had a daughter in the school. I said that I did and that I also had another daughter in the middle school. She started to smile broadly and said, "Wait, is your oldest daughter is Mrs. L's class?" I said yes and asked if she had a child in the same class. Quite excitedly she said, "Yes! My oldest daughter is the same class. We just moved here from another state and my oldest started school a week ago." Then she said, "My daughter said that your oldest daughter has juvenile diabetes. Is that right?" At this moment, I feel my smile stiffen a bit and I am prepared for a miscommunication and a story about type 2 diabetes or a story about a cousin's neighbor's brother or heck, even a cat. But then she said, "I have it too. Since I was 7." When I told her that I actually had two children with type 1 diabetes, her smile lit completely up and she got right down at their level and pulled out her own silver insulin pump. My girls both did the same and for about 60 seconds, three insulin pumps hung out together, like a completely typical moment in the school pick-up lounge. Except it isn't typical. It is wonderfully surprising. Here is the thing. It is hard to feel completely happy to have someone in your club (because who wants anyone else to have type 1 diabetes) but really, the truth is that I WAS excited and so was she! Another friend for my daughter and another friend for me. I am sure that she felt the same way. These are our kind of people. The people that get us and the people that we get too. Since that meeting, our girls have had a few play dates. The mom and I have also met for lunch - and even had another lovely mom of children with diabetes join us. I love that my daughters have another friend who understands the need to test bg before eating and waits patiently while they do so. I also love that I have an adult friend who can tell me stories about life on her own. And I am more than happy to share that she is truly living a full, well-traveled and complete life as a wife and mother of three healthy and happy children. Which is really one of the best gifts that I could hope to hear. And for that, thank you diabetes monster. Our family recently attended a wonderful Christmas party given by a few of our dear friends. This party was amazing with buffets in various rooms set according to theme... appetizers, entrees, beverages and my personal favorite, desserts. And did I mention that the desserts buffet had a melted fountain of chocolate? And with things to dip like potato chips, mini marshmallows, strawberries and pretzels? Oh yes! It did! And yes, we tried it all. Back in the beginning of our arrival into type 1 diabetes land, this type of setting would have made have made me break out into a cold sweat and feel instantly nauseous. How could a parent safely let a child with type 1 diabetes eat without numerous doses of insulin? I thought I had to grab a plate, measure food, carefully count carbs and then limit my child from eating anything else during the party. And then I had to pretend to have fun while stressing over the fact that my child was not in the least bit satisfied with one small serving and was whining for more. In a nutshell, parties stunk. Somewhere along the way, I realized that unless we wanted to become hermits, I needed to get a handle on dealing with parties. Since parties are part of life, really, I needed to learn to embrace LIFE. At the time, I was doing a lot of reading on type 1 diabetes. How in the world did other people manage? One of my favorite books was written by Gary Scheinder, MS, CDE and entitled "Think Like a Pancreas". If you never get the opportunity to read his book, one of the most important and thought provoking ideas is right in the title... think like a pancreas. Without risking becoming too deep in thought, just thinking like a pancreas made a lot of sense. Party food isn't eaten all at once, so why bolus only one time? 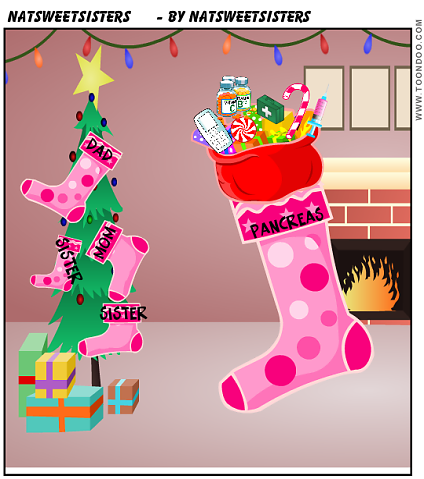 If I just think like a pancreas, that one dose of insulin isn't really how my daughter's own pancreas would have handled the onslaught of carbohydrates. And how could we manage this problem in the real world? 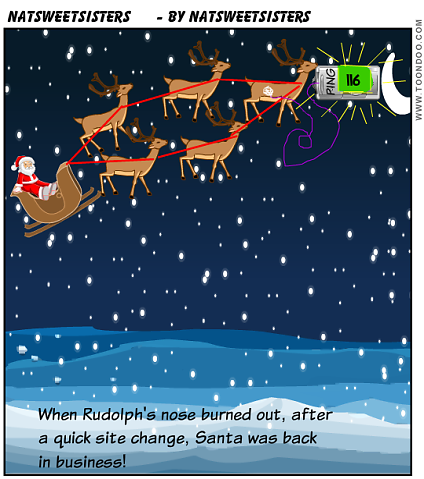 Enter in the magical Combo Bolus on our Animas Ping insulin pumps. A combo bolus allows the recipient to enter in a total amount of carbs and then dose a percentage over a set amount of time. Putting some numbers to this, I can provide a real-life example of the way this works in our family. My youngest daughter usually eats about 60 carbs for a meal. At dinner time, she is at a ratio of 1 unit to every 15 carbs of insulin. To combo bolus her at the party we went to, I applied 60 carbs of carbohydrates which equalled to 4 units of insulin. Instead of giving her four units at once, I gave her a ratio of 1/2 of the insulin at the start of the bolus and 1/2 of the insulin at the end of the bolus, set in the pump for one hour later. And because it is an automatic process, once we entered it, we could just tuck the pump away and not have to bother with it again. Because she is 8, I was able to allow her a bit of freedom in counting her carbs and working her way up to the 60 total carbs. As she my daughter, I knew that we wouldn't have a problem reaching the 60 (oh those yummy desserts) carbohydrates. She kept a running tab for the 60 carbs. In our family, we usually start at one carb and work our way up to sixty, but I have met other families who start at 60 and count backwards. To keep count, you can either trust your memory or another strategy is to make little tears in your napkin for every ten carbs eaten. The nice thing is that a napkin can be folded up into your pocket and no one is any wiser of what you are doing. One of my adult friend uses toothpicks. She pockets the toothpicks and counts that way. Whatever works. My oldest daughter loves to combo-bolus because she feels like it allows her to feel less bogged down with diabetes. This is a HUGE concern of mine. I want her to feel positive about managing her type 1 diabetes so that she doesn't one day (especially during her teenage rebellion years) decide that it is just easier to ignore diabetes. She also loves the way she feels. Less spikes and higher numbers. One of her favorite times to use the combo bolus is when she decides to eat pizza. The slow release of carbs from the pizza is difficult to manage with the fast acting insulin. Without a combo bolus the insulin is done working before the pizza is done fully digesting. The end result of our party??? Well, the chocolate fountain was just wonderful! Oh, and blood sugars were very, very good with a nice 159 when we got home. The best part was the ability for our entire family to mingle and enjoy the moment without the diabetes monster taking over. Two years ago, our beautiful oldest daughter asked to be tested with her sister's blood sugar meter. In less than sixty seconds, our world was irrevocably changed. Because at the exact moment of knowing that both of our children now were facing type 1 diabetes, we realized that there was only one choice. Our choice was only one... which was to pick ourselves up and make the best of every moment. Our world is full of diabetes and we know we can't run away or hide from it. We have to accept it's existence. Even when days go terribly wrong or perfectly right, we are still living with diabetes. 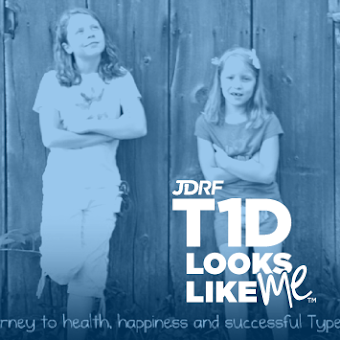 In learning that she had been diagnosed with type 1, sometimes people would ask my oldest daughter if she could remember what it was like before diabetes came to be. She was after all, 8 years old. Plenty of time to remember a childhood without pokes and checks. She used to say "yes". Sometimes even referring to wondering what it was like for her younger sister who had been diagnosed as a toddler. Although our oldest daughter had grown up with diabetes, she didn't really understand it until she, herself, was actually diagnosed. I happened to be with her during the last time someone asked her that same question; Do you remember what it was like before you had diabetes? Imagine my surprise when she simply said no. "No. I used to know but now it is just foggy. Should I remember?" I thought about that for a few days. Should she remember what it was like? Does it matter? Is it better that she forget life without diabetes? Or should she try to remember so that she grows up with empathy and compassion for understanding others struggling with life change? And then with a hope that I dared only think of to myself... yes, you should know so that you understand how to re-enter life once a cure is found. Again, there is no real answer for any of my questions. It just is what it is. Her memory is fading of life prior to diabetes and yet, she is still growing up into a lovely, beautiful, strong and smart young lady. Diabetes or not, she is so much more than a diagnosis and I am sure that she will be the person of strength that others seek out for a hug or two. By choice, we are letting the memories fade and by choice, we are replacing them with new happy ones. Two years later and all I see is one very amazing person. I am so proud that she is my daughter. Something that I started to realize on early on was this sort of domino effect of having a child with type 1 diabetes has on the world. "Oh, your child has diabetes? Well, my aunt's cousin, who is twice removed, has a cat with diabetes too. We have sooooo much in common!" "Is that insulin? I know all about it because yesterday I watched Dr. Oz and saw him talk about it and I ran into your neighbor who told me all about your family." This probably isn't limited to diabetes. I think people tend to try to connect with each other through commonalities. For example; if you like fishing, I might try to find something on fishing to share with you. After mentioning fishing, I find that we have built a connection and now feel a bit closer to one another. Maybe the next time we see each other we might smile and ask each other if we caught 'the big one' yet and share a couple more fish-tales. Except for, having type 1 diabetes is not something that we do for fun. It is not a hobby. Type 1 diabetes is not limited to the weekends, the shopping mall or television. The reality is that this is a non-curable auto-immune disease and unless you have it or live it, you can't really make relatable small-talk. Which is why I said this today. "Is that so? By the way, did I hear that you like fishing? Hey, did you know that Bass Lake has a fish somewhere deep down in the bottom that is supposed to be ten feet long and weigh 1,000 lbs? My cousin's brother's uncle just told me." This title really isn't clear. Reason # 2: Sharing supplies. You might be thinking, "Reason for what? What is this crazy lady posting about now? Blog, blog, blog!" Our youngest daughter had ballet class apx. 1 mile down the road from our house. The class is a mere 45 minutes long and she always tests and eats a snack before we leave. In her ballet bag is a test kit and fast acting snacks should she need to have a little extra glucose. Ballet (unlike her high energy soccer practice) is about fluidity, flexibility and grace. During the class, she practices positions, learns a bit of french and comes out feeling happy and relaxed. Today was the last class before a two-week holiday vacation. And so, of course, there was a celebration. And so, of course, a celebration means food. The beautiful ballerinas in their pastel leotards were given cookies with big brown, ooey and gooey chocolate chips. our youngest daughter did not have her insulin pump because it was safely left on the kitchen counter at home. Which leads me to Reason # 2: Sharing supplies. 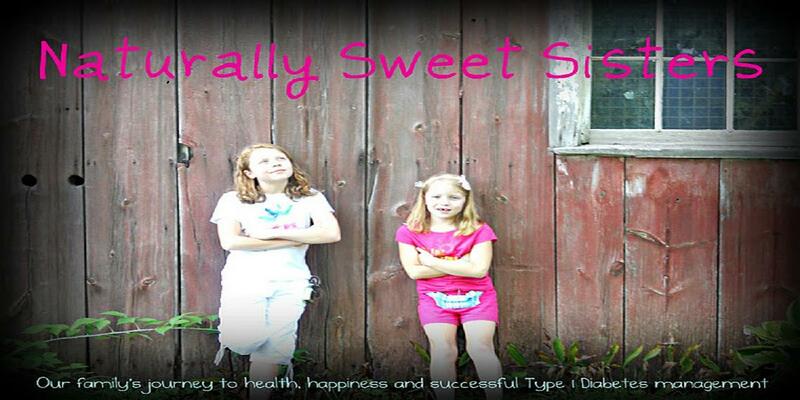 The second best part about Naturally Sweet Sisters is that our oldest daughter did have insulin. Which meant that her younger sister could also have enough for a tiny bolus to cover a cookie and still come out of class feeling happy and relaxed. The irony is that those beautiful pink ballerinas became little brown spotted leopards when the class was over. Chocolate chips and pink tights do not go hand in hand. Want to know Reason # 1? They will always have each other. And here we are. Five years later. Today has been a thinking day for our entire family. Youngest daughter, for whom this day is most personal, had a moment of teary eyes while discussing her stay in the hospital. Even though she was just three-years old, she remembers with astonishing clarity, little details and moments that happened. From the impromptu visit from several airline pilots to sampling her first taste of chili, she remembers it all. And most of all, she remembers that there still is no cure. So hitting a milestone like half a decade is a bit anti-climatic. Maybe that is what brought out the tears most. Oldest daughter reflected on the milestone like this... "I was sad when I saw my baby sister in the hospital. It scared me because I didn't understand diabetes and I really did think she was going to die. Isn't that funny? Now I know. She is OK. She is still the best sister in the world." We woke up this morning and thought about it over our shared morning coffee. "It just doesn't seem possible." After taking a few moments to sink in, we realized that the date is very real and so is the diabetes. While we do not have a cure, saying nothing has changed isn't correct either. We are also more focused on the improvements in care than in actual cures. We are choosing to live in the now. Which is really the most important part of having an anniversary as significant as this one. Somewhere along our journey, we made the decision to focus on the moment of right now and no longer worry about the future or what happened in the past. We learned to say no. We learned to put our kids first. We learned to put our family first. We learned to enjoy the little victories and are learning to let go of the small hurts. We also decided to give a voice to dealing with diabetes. We aren't going to let diabetes speak for us or decide what, when and where we will be. We choose our life adventures and bring diabetes along for the ride. As I didn't want to let this day slip by without doing any special (because really, it should be noted and remembered as this is part of our core foundation), we took our girls out for a special family date. We went to a craft class and made little ornaments for our Christmas tree. Each one has been dated and marked with a '5' to commemorate the moment. After decorating, I took a moment to admire the artwork that my girls had created. Which is exactly where we are five years later.